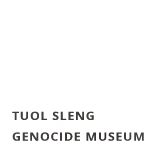 How did you first get involved with the Tuol Sleng Genocide Museum? I applied to work at the museum in 2005 and was selected in 2006. In the first year of my job, I worked as contract staff who responded to calls for cleaning, and also at reception. At that time, I couldn’t get a better position because my knowledge about the museum was still poor. Two years later, I was selected to work in the Education Team of the museum, and in 2012, I was promoted to become part of the official government staff. 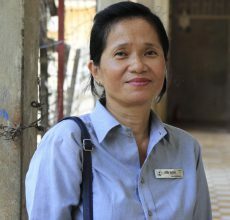 Due to my long experience working at the museum, I requested a new position as a tour guide, but first I needed to study more about the history of the Khmer Rouge period and train with the experienced guides. Finally, I was approved as a tour guide in 2013. What is the most challenging part about working as a tour guide? It is hard to look at the photos of the child and baby victims and tell the visitors what happened to them. I can’t even imagine the sorrow of the parents when they were brought to S-21 with their children. 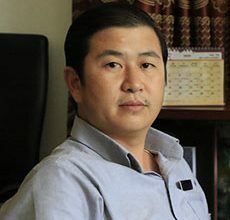 The Khmer Rouge killed the babies in front of their mother’s eyes. It’s hard to imagine how that mother must have suffered. It is an important job that we have to tell the terrible history of Cambodia to the next generation and the world. It is really important to know how it was and prevent it from happening again. Tell us about one of your favorite museum experiences. Beyond working as a tour guide, I am also a member of the education team. 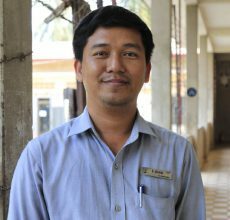 We have a program to visit secondary and high school students at schools and teach them about the history of the Khmer Rouge period and former S-21 prison. Many students are interested in it and have many questions. I really appreciate their questions. Moreover, I believe that the students will spread what they have learned from our visit to their friends and try to learn more about the history of the Khmer Rouge.